Hand forged from high carbon steel, our No. 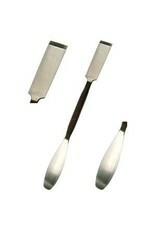 184 professional grade steel spatula is ideal for working in both clay and wax. 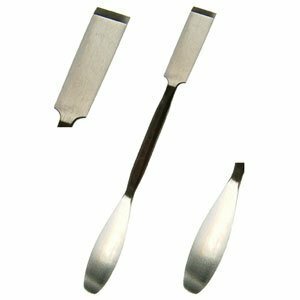 One end is a flexible, rounded spatula made for smoothing sculpting material; the other end is stiff and has been squared off for cutting and scribing (marking sharp, clean and definitive lines in your work).